These donut holes are everything you dream about in the perfect ball of fried dough without all of the calories and saturated fat known to clog your arteries and spike your blood sugar. Baking these treats and using a small amount of cooking spray to coat them instead of frying them cuts out a large amount of fat while still keeping them crispy on the outside and warm and doughy on the inside. Since they are mostly composed of carbohydrates, pair them with a serving of protein and a little fat to make a balanced meal that will stabilize your blood sugar. Preheat oven to 350ºF. Lightly grease a mini muffin pan with cooking spray and set aside. Make flax egg by combining ground flaxseed with water in a small bowl. Set aside for 5 minutes. Meanwhile combine all remaining ingredients (flour – milk) in a large bowl. Add flax egg or regular egg and stir until just barely mixed together. Be careful not to over mix. Fill each muffin tin cavity with batter and bake for 10 minutes. 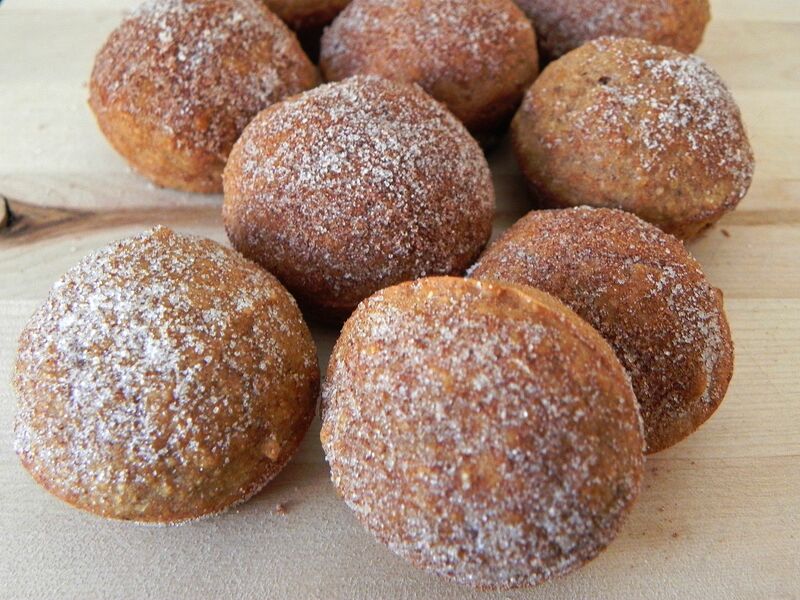 While donuts are baking, combine sugar and cinnamon for coating in a small bowl. When donuts are finished baking, remove from oven and allow to cool for 1-2 minutes.